When the online sports betting industry enjoyed its explosion in popularity around the turn of the new millennium, Betfair was right in amongst the thick of the action with its generous odds – it didn’t have high-street betting shops to worry about like many of its competitors – innovative features and easy-to-use website. The next step for the brand was to make a foray into slots and casino gaming, and it’s a platform that has been in existence for the best part of a decade now. Licensed and regulated by the UK Gambling Commission and the Malta Gaming Authority, the Betfair Casino is more than holding its own in an ever-competitive market. Betfair Casino took the decision to partner with just one slot game software developer: Playtech. It’s a bold move because, typically at least, you’d expect players to want a wide range of games in order to maximise their edge, but it doesn’t seem to have held Betfair back too much. Besides, Playtech is a fine developer that continues to produce top-notch content. It has given us some of the most enduring slots around, and aided by creative licences secured for the likes of Marvel and DC Comics, its team can produce quality slot titles centred on franchises that movie and comic book buffs alike are familiar with. 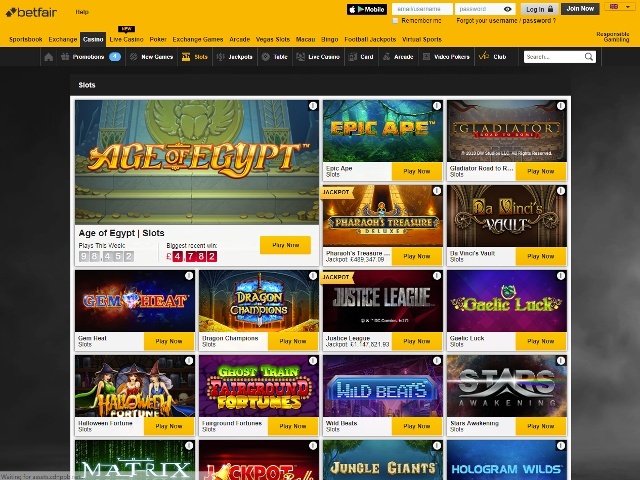 At first glance the Betfair Casino homepage looks rather busy, with thumbnail images of the various slot games available claiming the attention without offering the player a logical journey via which they can find their favourite titles. All is not lost, however, as the design of the top menu really is clever. 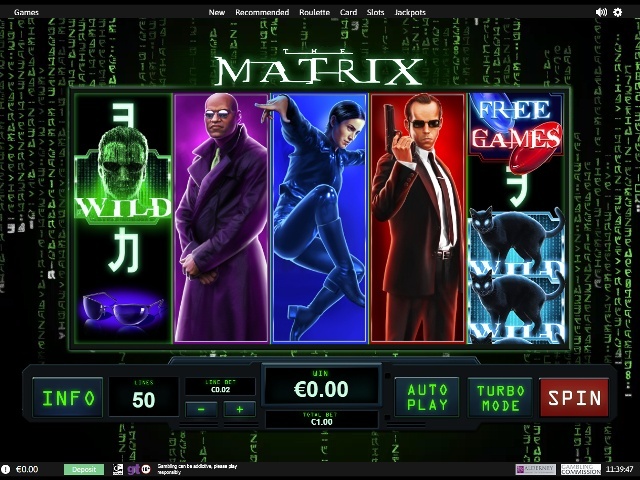 Hover your cursor over the slots category and a drop-down menu breaks the library down into sensible sections: you can search by new games, the types of bonuses, the number of paylines and more. Another cool feature is that when you hover over these sub-menus tiny thumbprint images detailing each game in the category appear, making your job of selecting your favourites a piece of cake. These canny design quirks appear on both the desktop and mobile browser site, while the dedicated app – available to Apple and Android device users – adds further evidence to the theory that Betfair Casino is willing to take a few risks with its channels. It’s a philosophy that pays dividends for the end user. There are more than 150 slot games available at Betfair Casino, and these can be broken into niche categories so that you can find your preferred options quicker. There are slots with varying minimum and maximum bet amounts too, so all budgets are catered for. Does Betfair Offer Progressive Jackpot Slots? There’s a healthy stack of some 46 progressive jackpot games available at Betfair Casino, with several of these feeding into Playtech’s Mega Jackpots network. From sporting endeavours such as Frankie Dettori’s Magic Seven and Jackpot Darts to the stars of the small and large screen – Monty Python, Batman, Superman and the Justice League, there are a number of options available for gamers with one thing in mind: trying to win a life-changing sum of cash! Can Players Demo Betfair Casino Slot Games for Free? 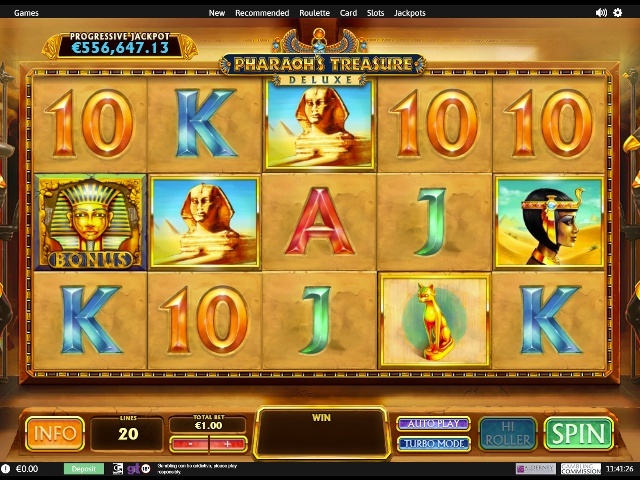 All of Betfair Casino’s slot games feature a free mode; just hover over your selection and choose the free play option. There’s nothing fancy here as far as payment methods are concerned; the Betfair Casino should have at least one payment option available that’s relevant to the vast majority of UK players. From Visa, MasterCard and Maestro, to PayPal, Skrill and Neteller, Betfair accepts nearly all of the most popular payment systems around. Slot gamers have a couple of welcome bonuses available to them at the Betfair Casino, with one being the 100% match on your first deposit up to £100. Alternatively, you could opt for the bonus that rewards new players with 30 roulette chips upon sign-up. And when you try its live casino for the first time, the good times keep on rolling: a 50% bonus worth up to £200 to enjoy on the live roulette tables, plus five golden chips. Alongside the SSL encryption technologies implemented into the site, the Betfair Casino has also established two-step authentication to ensure that you, and only you, have access to your account details and financial information. It’s a little tricky to find the ‘contact us’ details for the customer support team; you’ll have to click through a few help pages before the contact information is revealed. The team can be contacted via phone or live chat. To take part, all you need to do is ‘claim’ with a minimum of €10 . 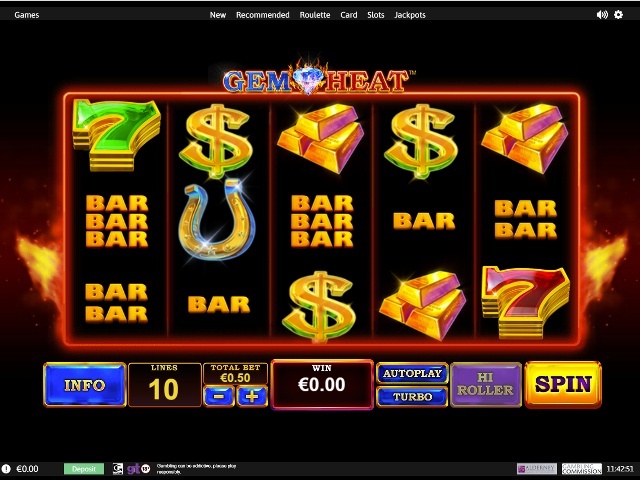 The maximum bonus you can receive is €100 . Your claim amount will be matched 100% up to the maximum of €100 . When playing your bonus you can view your casino bonus balance from the main account menu. Hit the refresh button to monitor your rolling bonus balance as you play. The number of free spins available to you will vary depending on the amount you deposit and buy into 100% matched offer. Free spins will be added to your account after you’ve played through the 100% bonus. What will my bonus be if I am playing in a currency other than GBP? The following table shows you what multiple of the GBP bonus you will receive in your local currency. For example, if your local currency is SEK and you qualify for the all games welcome bonus, you can receive up to 1,000 SEK (100 x 10). You'll need to ‘claim’ with a minimum of €10 , at which point your bonus will automatically be credited to your playable Bonus balance. If you choose to ‘claim’ this bonus, you’ll need to wager the sum of the multiplier of the bonus ‘claimed’ to as indicated in the table above 45 times. For example, if you ‘claim’ with €100 , you will be awarded a €100 bonus (100% of your deposit in the all games welcome offer). You will then have to wager the €100 bonus 45 times, which is a total of €4 ,500. EXAMPLE: A bet of €100 on Craps will be calculated as €5 for wagering requirements. If you cancel your bonus you also forfeit any pending winnings you have accrued. Cancelled bonuses and winnings cannot be refunded. What do I need to do before I can withdraw my winnings? You need to complete the wagering requirement in the specified time, as set out above. You will only be able to qualify for one sign-up bonus, which will be offered depending on the value of your first ‘claimed’ amount. Bonuses are awarded to enhance your enjoyment of our games however we reserve the right to govern how bonuses are used before a player is allowed to cash them in. As such we deem it necessary to restrict certain types of wagering from contributing to the wagering/turnover requirements. Any bonus issued is valid for a period of 7 days from the date of issue unless otherwise stated in the specific promotion. Any remaining/unused bonus at the end of the stated period will be removed from the player's account. All bonuses credited must be ‘bought-in’ to, accepted or declined. Once accepted, a bonus is credited to your playable balance. Declined bonuses will not be reapplied. Wagering requirements for bonuses will apply to an account from the time a bonus is accepted and/or applied to an account. When receiving a bonus, the player will first play with the money ‘bought-in’ to and only then will the player play with the bonus offered by the casino. Placing single bets equal to or in excess of 30% of the value of the bonus before the wagering requirements for that bonus have been met. EG – You deposit €100 , accept a €100 bonus and place a single bet of €60 on any game. Moving from a low weighted game (25% or less) to a high weighted game (100%) after large wins for the purpose of clearing wagering requirements. EG – You place at least one bet on any game in the above list weighted at 25% or less, win 100% more than your stake and move your original stake and winnings to a game in the above list weighted at 100% in order to meet wagering requirements. Playing equal to or more than 500 consecutive hands/spins on any game and/or playing any game consistently for a period longer than two hours while a bonus is active. EG – You set any game to run on auto spin for 500 spins while you have an active bonus in your account and/or you play for a period of two hours or more (irrelevant of how many sessions) while you have an active bonus. Low risk Roulette bets. ANY bet spread combination on European/French Roulette games covering 25 or more (68%) of the 37 unique number spots on the table or on American Roulette games covering 25 or more (66%) of the 38 unique number spots on the table. EG - You bet on Red and Black, You are covering 36 of the 37 possible outcomes, therefore this bet would not count towards any wagering requirements. These Terms & Conditions apply to all Betfair Casino promotions, competitions and events including all online and offline tournament participation by Betfair Casino players. Except as expressly provided, in the event of any discrepancy or conflict between these standard terms and any specific terms relating to a particular promotion, competition, tournament or event then the specific terms shall prevail. 1. You must be aged 18 years or over to play casino games, participate in promotions, and/or take part in competitions. Underage entries will be void. 2. None of the employees, nor any family members of employees, of Betfair Casino and its affiliate companies their agents or those of their respective group companies may take part in (1) prize draw promotions or (2) competitions that involve any element of judgment by or on behalf of Betfair Casino. 3. All promotions are limited to one account per customer (family, household address, IP Address, email address, telephone number, same payment account number (e.g. debit or credit card, neteller etc), and shared computer, e.g. public library or workplace). 4. For competitions, only one entry may be made per person. For promotions, they are only available once to any person. Betfair Casino may determine in its sole discretion whether it believes different entries or accounts are connected to the same person, using whatever methods it deems appropriate. Where multiple entries/accounts have been used Betfair Casino reserves the right to cancel these entries/terminate these accounts and withhold any promotional benefits. 5. By entering you accept and agree to be bound by these terms and conditions any specific terms and conditions relating to the relevant promotion, competition or event and any applicable instructions. 6. Fraudulent, multiple or incorrectly completed entries will not be accepted, neither will entries made in breach or non-compliance with these terms and conditions. No liability is accepted for entries that are not received for any reason by Betfair Casino. 7. When you accept a bonus which has a wagering requirement, all winnings (on all games, not just games on which play counts towards fulfilling the wagering requirement “Eligible Games”) will be deemed to be ‘bonus winnings’, and all ‘bonus winnings’ and bonus funds will not be withdrawable until the wagering requirement has been fulfilled. 8. If, before the wagering requirement is met, your cash balance is reduced to zero through wagering and you have depleted a proportion of your bonus funds, any further cash deposits you make will be applied to your cash balance only. 9. If you transfer any or all of your cash balance before the wagering requirement has been met, all bonus funds and ‘bonus winnings’ will be lost, and the wagering requirement will be cancelled. 10. For all customers whose accounts are registered in Denmark, bonus wagering requirements must be met within 60 days of accepting the bonus or they will expire along with all pending winnings. 11. Unless otherwise stated by Betfair Casino, stakes on any Zero Lounge game (for the avoidance of doubt this includes Euro Roulette, Common Draw Single Zero Roulette, Craps, Baccarat, Single Deck Blackjack, Zero Roulette, Zero Baccarat, Zero Blackjack, and Zero Jacks or Better do not qualify towards the qualifying wagering requirements. 12. By entering any competition, in the event that you are the winner you agree to reasonable use of your name and image on the websites and in promotional materials produced by or on behalf of Betfair Casino. 13. Betfair Casino reserves the right to exclude any entrant from competitions, promotions, events and from use of the Betfair Casino website if Betfair Casino believes that an entrant has tried to enter by using more than one user name or is otherwise engaging in any fraudulent or illegal activity (including participation that would be in breach of the law in your local jurisdiction), or activity that in Betfair Casino’s absolute discretion is detrimental to Betfair Casino’s business or its customers whether or not that entrant would or might have won any prize but for such activity. 14. Prizes are not transferable or exchangeable other than in the sole discretion of Betfair Casino. 15. Notwithstanding the Specific Terms containing a term(s) relating the payment of a bonus, the amount payable (whether in benefits, direct payments or any form of monetary compensation or accrual) by Betfair Casino with respect to a specific customer shall, in Betfair Casino’s absolute discretion, be capped at £10,000. 16. By entering any competition, in the event that you are the winner you agree to reasonable use of your name and image on the websites and in promotional materials produced by or on behalf of Betfair Casino. 17. Betfair Casino reserves the right to correct palpable errors in promotions, competitions and tournaments, including payout structures. 18. You hereby assign any and all copyright or other intellectual property rights in your entry to Betfair Casino for Betfair Casino’s unrestricted usage and agree to do all such acts and/or execute or procure the execution of all such documents in a form reasonably satisfactory to Betfair Casino to confirm Betfair Casino’s full ownership of such rights. 19. Betfair Casino in its sole discretion reserves the right to withdraw or vary the terms of competitions and promotions and/or any offer made in connection with them in order to comply with the decision of any relevant judicial or regulatory body and shall not be held liable to any entrant for so doing. 20. The decision of Betfair Casino in respect of any matter concerning or related to competitions and promotions is final and no correspondence will be entered into. 21. In the event of a breach of these terms and conditions Betfair Casino reserves the right to take such action as it deems appropriate in its absolute discretion. 22. Unless otherwise specified in writing, in the event that you are required to travel to take part in any event, you are responsible for making all your own arrangements (including insurance). 23. Betfair Casino reserves the right to amend any tournament rules or these Terms and Conditions at any time. 24. If Betfair becomes aware of a customer who, in the course of participating in a promotion or offer, has become able to guarantee wins and/or profits with no or only minimal risk, and/or benefits from a promotion or offer by participating through more than one Betfair account, and/or displays irregular or unusual playing or betting patterns which Betfair deems to be abusive, Betfair may in its absolute discretion elect to do any one or more of the following: (i) close the customer’s account(s); (ii) invalidate the transactions or game play which was in contravention of this term; and/or (iii) withhold the customer’s winnings from such transactions or game play. 25. Betfair Casino accepts no responsibility whatsoever for system or connection problems that might affect any end user during any of these promotions or competition. 26. Betfair Casino and its affiliates and subsidiaries, or any of their employees, officers or directors shall not be liable for any damages howsoever arising as a result of a participant's or winner's participation in an event or any such modification, alteration, discontinuance or termination of any tournament, and any such liability shall be borne solely and exclusively by the participant or winner, as the case may be. 27. You agree that these terms and conditions shall be governed by and construed in accordance with the laws of Malta and you submit to the non-exclusive jurisdiction of the Courts of Malta. 28. Any use of the registered trade mark BETFAIR® and/or the BETFAIR LOGO is with the consent of the trade mark owner The Sporting Exchange Limited. 29. The promoter in respect of any prize draws, competitions and promotions is Betfair Casino Limited.